Matatus operating within the city will from today raise their fares by Sh20 whereas those plying the long distance routes will levy an extra 20 per cent following the implementation of value added tax on petroleum products. Stakeholders in the matatu industry -- the Matatu Transport Vehicle Association, Matatu Owners Association and Matatu Welfare Association -- held a meeting in Nairobi yesterday to deliberate on the way forward following the increase in fuel prices. "We have agreed that those who want to should increase fares. There are some who don't want to raise fares, because they fear patrons might stop using their vehicles," Matatu Welfare Association chairman Dickson Mbugua told the Nation. Meanwhile, activist Okiya Omtatah on Monday filed an urgent case seeking to suspend the implementation of new fuel prices, arguing that it is a threat to the socio-economic rights of Kenyans. In the case, Mr Omtatah said the application is extremely urgent because the implementation of the tax has sharply forced upwards the prices of those products, resulting in widespread public discontent. He has named Treasury Cabinet Secretary Henry Rotich, the Kenya Revenue Authority, the Energy Regulatory Commission and the Attorney-General as respondents. He argues that the imposition of VAT on petroleum products, which came into effect on September 1, is unconstitutional. "The imposition of VAT on petroleum products at 16 per cent of transaction value and not of the taxable value is tantamount to double taxation and therefore null and void," he said in a sworn statement. He wants the High Court to issue an order permanently prohibiting suspending the Act, arguing that it is counterproductive, with disastrous effects on other aspects of the economy. The Matatu Transport Vehicle Association (MTVA) leadership feels that increasing fares is too big a burden for Wanjiku. "Those who want to hike fares can do it, but how sustainable will it be in the long run? People's salaries have not been increased," said Richard Kanoru, the secretary-general of MTVA. Mr Kanoru suggested dialogue between transport sector stakeholders as he said that even trucks and school buses would be affected by the move to raise the cost of fuel. Mr Azym Dossa, the managing director of Easycoach, a long distance bus service provider, said that they would not be increasing their fares, for now. "The second highest cost after wages is fuel. The increase in the price of fuel has not taken us by surprise -- we were very happy that it had been delayed for the past five years. We were expecting the increase to be gradual," Mr Dossa said during an interview in his office in Nairobi. A spot check by the Nation showed that most matatu saccos had yet to raise their fares, and were waiting for the go ahead following the meeting. Others had pre-empted the outcome and had already added Sh 10 or Sh20 to the normal rates. Paul Masikonde, a driver for Likana Sacco, which plies the Limuru route said that they added Sh10 to the fare. He said that since fuel prices went up, he has been spending an extra Sh700 per day. In Isiolo, PSVs adjusted their fares by Sh100 for long distances while those for short distances have been raised by between Sh10 and Sh50. Isiolo Matatu Owners' Association chairperson Mohammed Koroboi confirmed the increase. 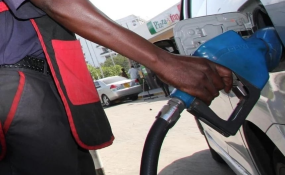 The price of a litre of petrol and diesel retails at Sh131 and Sh118.30, respectively. Paraffin goes for Sh100.60 a litre. "We had a meeting with matatu owners and agreed to effect the increment in all our stages," said Mr Koroboi. Matatu operators in Moyale have turned to fuel sellers in Ethiopia following high prices in Kenya. Moyale Township MCA Kiya Jillo said whereas a litre of petrol was selling at Sh130 a litre in Kenya, the same was going for Sh75 in Ethiopia. "The motorcycle and matatu operators are getting their fuel from Ethiopia since it is cheaper," said Mr Kiya. A spot check by the Nation showed that in Marsabit town, petroleum is selling at Sh134 while diesel is selling at Sh121 per litre. Matatu operators have however not hiked fares. At the Nanyuki main bus stage, all the operators have raised the fares by Sh50. Mr Omtatah said although the President was yet to assent to the Finance Bill 2018, Parliament has clearly expressed its intention to defer the VAT on petroleum products on the grounds raised by experts and the general public that additional taxation on fuel is bound to have a negative ripple effect by pushing up the prices of essential goods and services, triggering runaway inflation. "The cost of production will rise sharply leading to a surge in the price of other consumer goods. The net results is a squeeze on productivity, incomes and savings and the KRA's tax catchment bracket will also dwindle," he said. The National Assembly had on Thursday passed an amendment to the Finance Bill 2018, extending the transitional exemption on petroleum products for a further two years, until September 1, 2020.